Overall the kids’ footwear industry is a crowded space. We identified three companies whose product and brands stood out. Each of these three companies offer shoes with great design, a commitment to quality, and a perceived audience of raving fans. As lifestyle-conscious millennial and gen-X parents go shopping for kids' shoes, these three companies will likely be at the top of their list. A dominant player in the market since their introduction in 2003, Keen has slowly been losing market share to niche retailers. They offer a wide range of shoes for men, women and children, which has made it difficult to focus their efforts and innovate within the category. 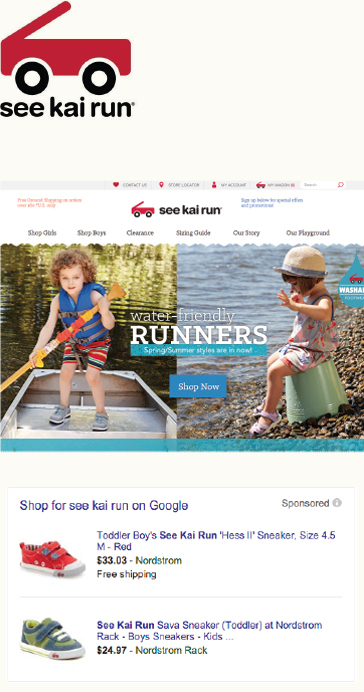 See Kai Run is a kids’ footwear company started by a Seattle mom in 2004. 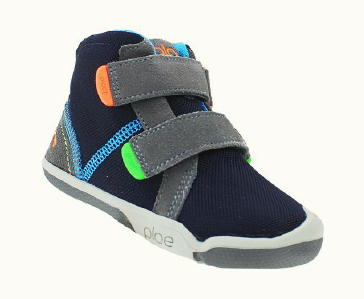 They specialize in footwear that blends fun style with healthy foot development. Product placement in premium retailers such as Nordstrom has given See Kai Run market credibility. Highest amount of brand awareness and recognition, including with high-profile retailers such as REI. Initial branding work was obvious, and the messages of “create, play, care” offer a strong culture framework. The brand feels stable and tenured, which is an area to build upon. 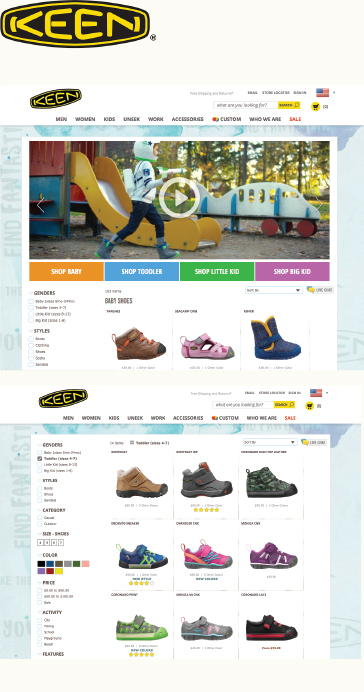 As the only company who sells more than just kids’ shoes, Keen struggles to speak the right language for the target audience. Social media accounts don’t share cohesive messaging and feel like they are managed by different teams. 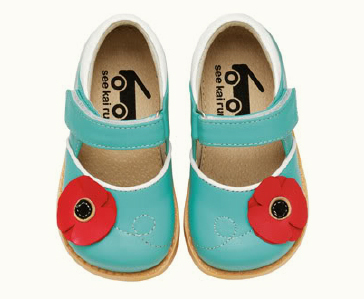 Clarify the identity of the kids’ footwear line; give this product line some undivided attention. At a minimum, simplify the website UX and make it responsive. Conduct a full competitive audit for the kids’ footwear space to identify other areas of opportunity to improve messaging, design, social media and content. 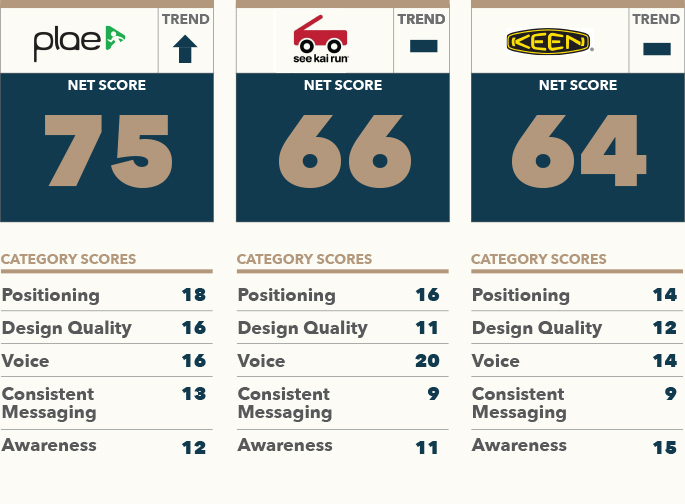 For a complete breakdown of Keen's scores, including actionable insights from each category, download the full report. Built into Plae’s culture is an emphasis on the power of design. This sets apart both their shoes and the other visual elements of the brand. They speak the language of the parents. It comes through in their copywriting, product features and design. A founder with a solid pedigree and compelling reason for starting the company. There are missed opportunities to take the About Us story and purpose deeper. Page load time is too slow. This is most likely hurting organic search ranking. 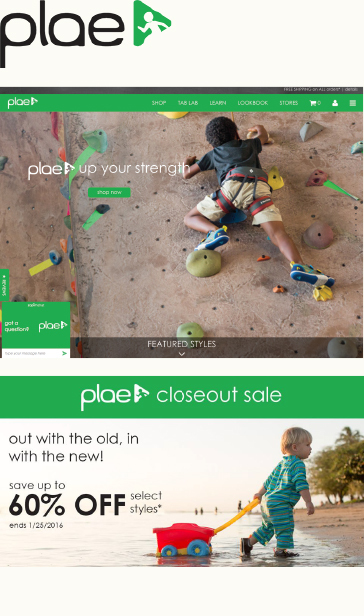 Competing messages make it hard for Plae to own one position in the consumer’s mind. Plae is primed for brand strategy to refine and focus the overall brand promise and key messages for each customer segment. Optimize the website for page load times and SEO best practices. Develop an influencer outreach strategy to increase quality backlinks and number of monthly branded searches. For a complete breakdown of Plae's scores, including actionable insights from each category, download the full report. A heartwarming and compelling brand story. Strong impression that See Kai Run knows the most about healthy foot development for kids. Strong placement in retailers such as Nordstrom. Average website design and UX, including photography, which isn’t enough in this space. Google and Bing search results were pulling from a 3rd party source, rather than from the company’s meta description. Their primary point of difference isn’t given enough prominence. Give the positioning more prominence and use brand and design strategy to improve design and messaging. Fix the meta description problems and enhance the UX, especially on home and product detail pages. Upgrade elements of the storytelling, including video narration, advertisements and incorporation of a higher purpose. For a complete breakdown of See Kai Run's scores, including actionable insights from each category, download the full report. Want Access to the Entire Kids' Footwear Report?